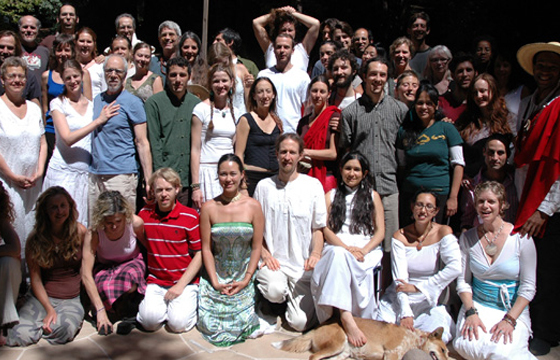 Welcome to an overview of the courses and practices taught by Pema Khandro and guest teachers. These courses offer an in-depth journey in the Buddhist path, ranging from an exploration of one teaching at a time, to an ongoing training in the paths of Study, Accomplishment, and Meditation. Leadership trainings also offer the opportunity to train as a Meditation Instructor and integrate Buddhist wisdom into one’s professional life. The courses are offered in the form of short classes, weekend seminars, retreats, online courses, longer trainings and private instruction. 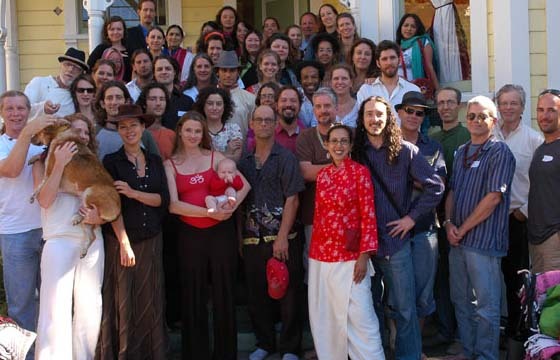 You will find answers to frequently asked questions about studying with Pema Khandro here. 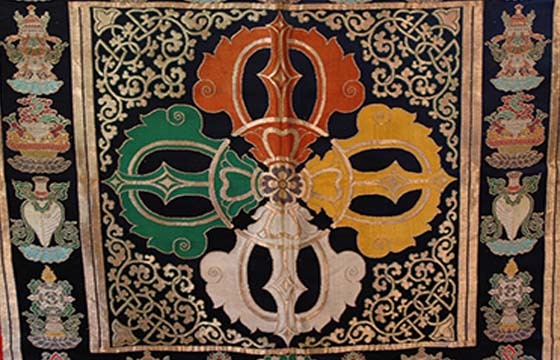 Our courses focus on Tibetan Buddhism’s Nyingma lineage, one of the five major schools of Tibetan Buddhism. The Nyingma lineage is the ‘ancient school,’ known for its proliferation of Buddhist Yogis, who integrate Buddhist wisdom with family, work and society. 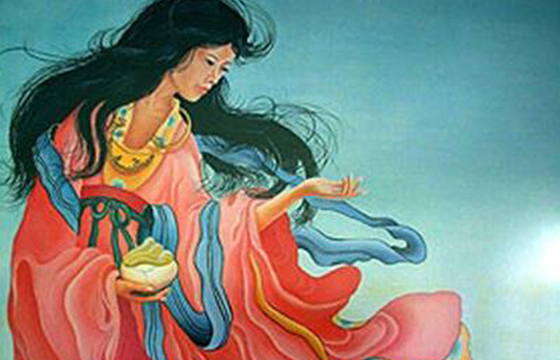 Within the greater lineage of the Nyingma, we specialize in the Heart Essence tradition or Dzogchen Nyingthig as taught by our founder Pema Khandro. 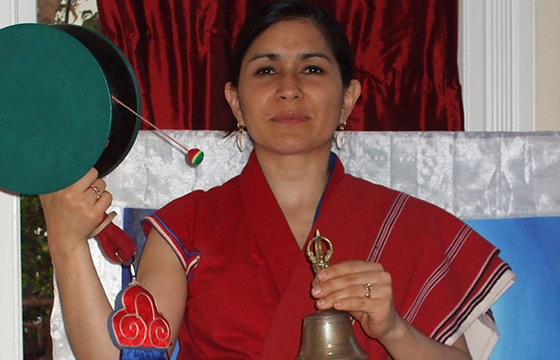 The focus of her teaching is to offer a path of study and practice as carried by Tibetan Ngakpas, the Buddhist Yogis. Tibet’s Yogis balance study and practice with work and family life. They keep long hair and where red and white robes. 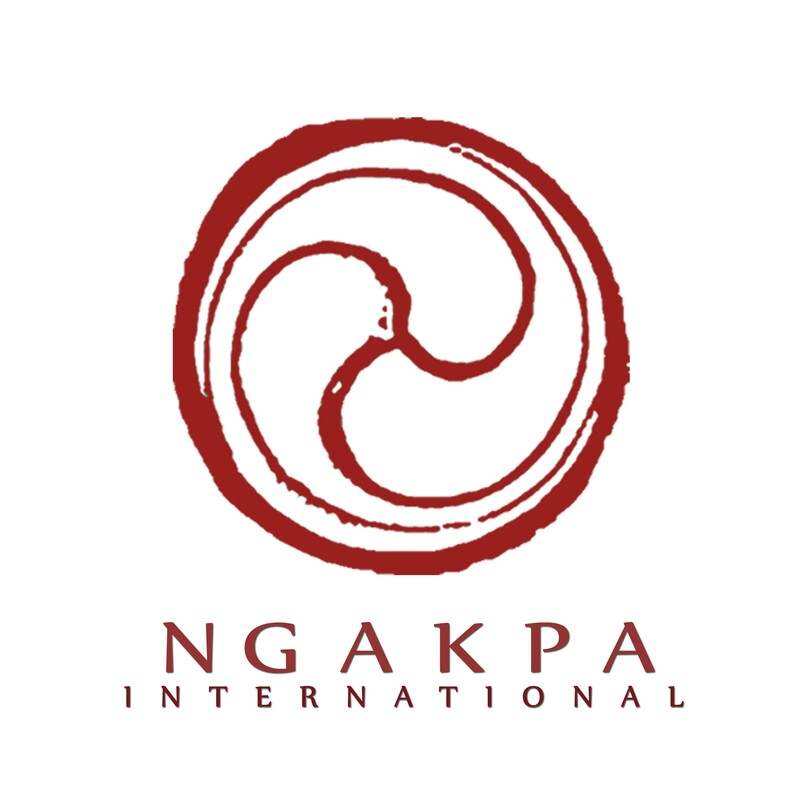 Learn about Ngakpas here. Attend select teachings at your own pace to study Buddhist philosophy and practices. These courses are offered in a variety of formats – person, online, in retreats and weekend seminars, on a rotating basis. These courses offer a practical orientation to Buddhist philosophy and meditation aimed and cultivating wakefulness, love and knowledge. They can be attended one by one at one’s own pace. The classes in this category are open to the general public. 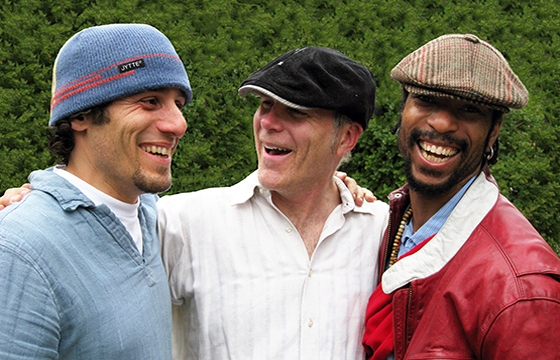 An Open teaching is offered online every month. Join Pema Khandro to study Buddhist Philosophy and Meditation in a free monthly class. The monthly online Open Teaching is a thirty minute webinar, available to the public. The class starts with the Tibetan Buddhist meditation with refuge and bodhichitta prayers from the Heart Essence of the Vast Expanse(Dzogchen Nyingthig) and silent meditation instruction known as Calm Abiding Meditation (Zhine). Following this is a study of a text that walks through core instructions of Buddhist philosophy step by step in their pith form. This book is called “Excellent Path to Enlightenment,” Longchenpa’s guide to meditation. The goal of this class is to provide accessible, concise opportunities to study Buddhism from home. Its free. Its short. Its potent. Sign up to receive the link to the teaching. Members also get the recordings to watch later. Study Buddhist Philosophy in short trainings and ongoing courses. 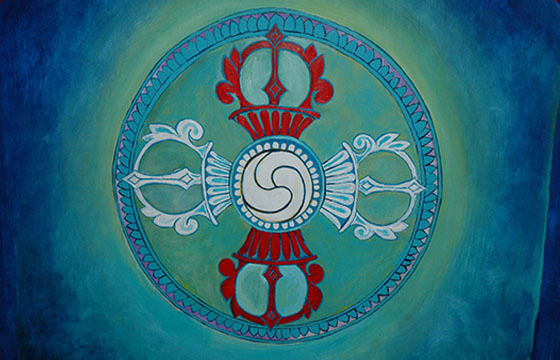 These classes focus on Buddhist Tantra and Dzogchen for those who wish to engage with Buddhist philosophy in an in-depth, ongoing and accessible format. To keep these courses accessible for students who work, have families and actively participate in their society, the courses are offered in a modular, incremental format. They include the most important texts of the Nyingma tradition studied in Nyingma shedras, Buddhist colleges, around the world as well as a philosophical overview and commentary from the modern perspective. A key element of Pema Khandro’s teachings is to emphasize the awareness of diverse views within Buddhism rather than a one-right-way or one-truth mentality. “We don’t have to shy away from diversity. Practice the meditations and mantra accumulations of esoteric Buddhism’s Dzogchen Nyingthig tradition. This path of practice is for students interested in a time-intensive, traditional journey through Vajrayana meditation. The practices are learned in retreat, and the practiced individually. The progression is guided by Pema Khandro and guest Lamas who can offer the empowerments, instructions and advice on practice. Practice the path of meditation, stage by stage. The first stage of these practices are taught at our centers and by our meditation instructors. 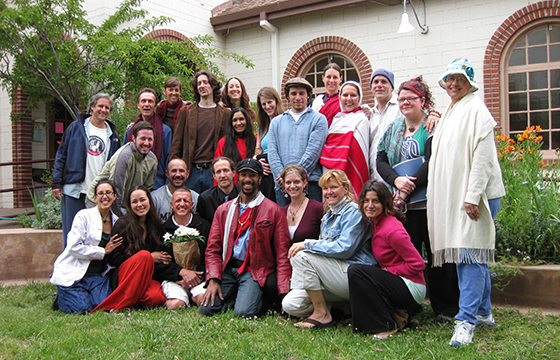 The subsequent phases are taught by Pema Khandro and guest teachers in retreats and in private instruction. 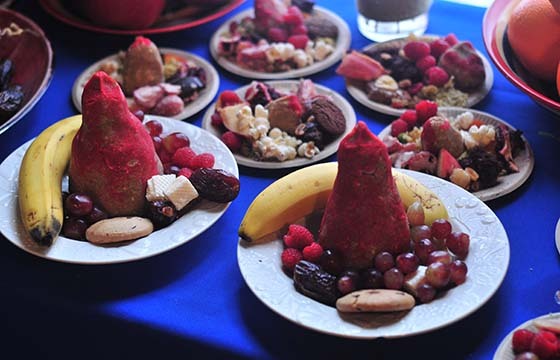 These retreats offer training in a simple, direct path to meditative stability and heightened awareness through the special practices of Tibet’s Buddhist Yogis in the Dzogchen Heart-Essence tradition. Students learn the practices in short retreats which last from one week to one month. However, the practices are continued on an individual basis as daily practice at home and solitary retreats accomplished intermittently. This path of training emphasizes silent sitting meditation known as Zhine, at every stage of the path. Zhine is practiced each day along with other practices one is training with. Zhine has numerous manifestations in the Tibetan Buddhist tradition from the paths of Mahayana up to Dzogchen. However, their goal is the same – stable calm, concentration, and presence of awareness. Integrate Buddhist wisdom into your leadership roles and professional life or train to lead meditation and study groups. 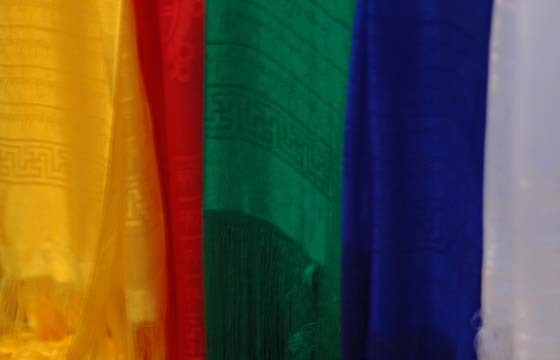 These courses are led by Pema Khandro and her senior students in intensive training both online and in person. The five precepts provide the framework for discipline, honor, freedom and joy in the life of a Buddhist. Buddhist Tantras and Dzogchen emphasizes directly addressing ethical ambiguity, developing one’s own intelligence and considering the context when making decisions. The five vows are a discipline of openness and precision that cover the potent themes of a Buddhists’ life from the uncommon, extraordinary perspective of non-duality. 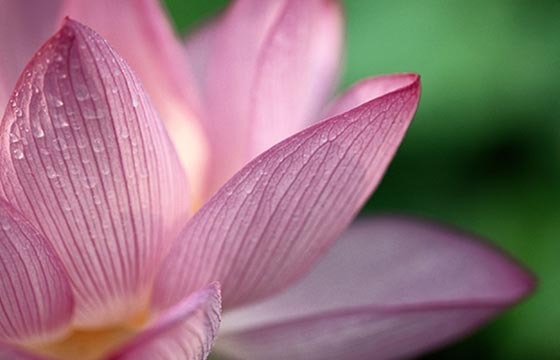 Topics covered in this course include Buddhist views of controversial issues such as vegetarian lifestyle versus meat-eating, alcohol and drug use, conscious use of sexuality in the life of a non-celibate Buddhist, working with desire, handling resources, money and spirituality, honesty and the speech that fosters clarity and courage. The ten perfections are the transformation of our limited, neurotic qualities such as greed, impatience, resistance, compulsive patterns and helplessness into boundless wisdom and skillful action. Explore the ten perfections, from the uncommon view of the Inner Tantras of Buddhism which take us beyond rigid moral codes into the practice of tuning in with our context, drawing on our core values and leading with our vision to align with reality as it is. Bodhicitta in the Nine Yanas – This class explores the meaning of Bodhichitta, enlightened intentionality, in the Buddhist tradition. Bodhichitta is considered the most important quality for the spiritual path. Without it there is no wisdom, no understanding and no clarity. 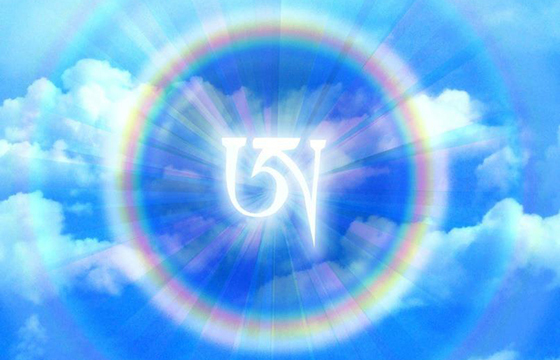 Literally Bodhichitta translates as the heart of enlightened mind or even awakened mind itself. It is the fuel behind our evolution, the energy of compassion, the manifestation of enlightened passion and the essence of Buddhist Warriorship. Train in Buddhist methods to discover kindness and compassion through the power of appreciation. Go beyond idiot compassion, martyrdom, self-absorption and self-righteousness to un-earth the living energy of genuine compassion that spontaneously arises from awareness. The class explores Buddhist methods for cultivating and harnessing this self-existant fire that animates all of life. Refuge is the fundamental principle of Buddhism, marking the defining idea that makes one a Buddhist. Yet, refuge is understood in many ways that reflect a deepening understanding as one journeys through the levels of Buddhist practice. This retreat focuses on outer, inner and secret refuge, where it is we rest our hearts &minds, where it is we return to and where it is we draw strength and inspiration. Do Buddhists believe in free will or fate? What is Karma? How is Karma formed? Can it be released and if so how? Are there different kinds of Karma? Why do some people change easily and others have great difficulty in changing? What is the Buddhist view of past-lives and reincarnation, death and rebirth? What does this have to do with our daily lives? What are the different methods for addressing Karma in Buddhism? By understanding what Karma is and is not, gain insight into the hidden causes behind experiences and the open-ended nature of reality, in which change is always possible. 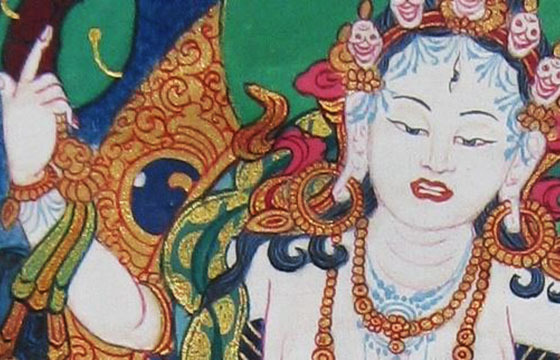 This course introduces the rare view of Karma in Buddhist Tantra and Dzogchen, which offer up immediate ways to recognize, transform and liberate patterns so that genuine presence can be found. The Psychology of Buddhist Tantra – There are many ways to live life – from fear, conditioning, social scripts, or governed by circumstance. 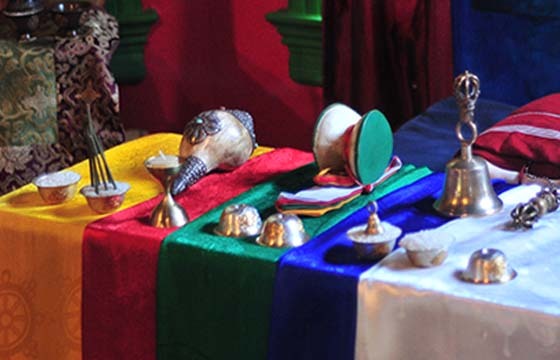 An alternative presented by Vajrayana Buddhism is to connect with a more expanded sense of identity through methods that invoke greater presence and connection to self existent confidence. This class explores the primary method of Tantric Buddhism, where one loses one’s ordinary identity in order to arise in the immediate experience of one’s Buddha-nature. 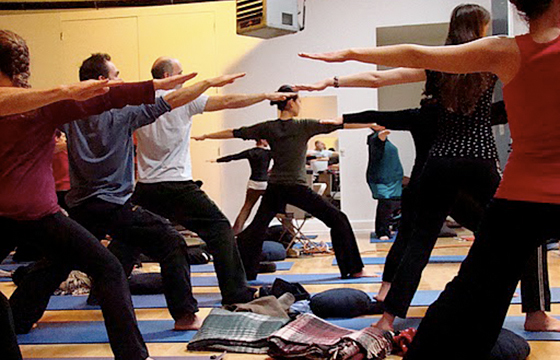 Known as deity yoga or Yidam practice, this practice transforms how one experiences self, emotions, and circumstances. This Teaching focuses on the Tantric Buddhist methods for navigating Dream, Waking Life, and Sleep. Meditation is a wakefulness that we may find through waking, dreaming, and deep sleep. Considered the practice most similar to our experience at death, Dream Yoga is about navigating in the real and unreal aspects of our experience without falling asleep to awareness. It is a practice of recognizing the nature of our minds. 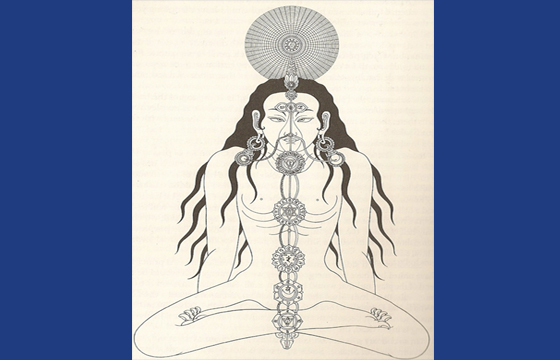 A course based on the Six Yogas of Naropa. Our state of being is the quality of our lives. Our relationship with emotions, body and mind decides the quality of all our experiences, all our relationships and the nature of the future to come. 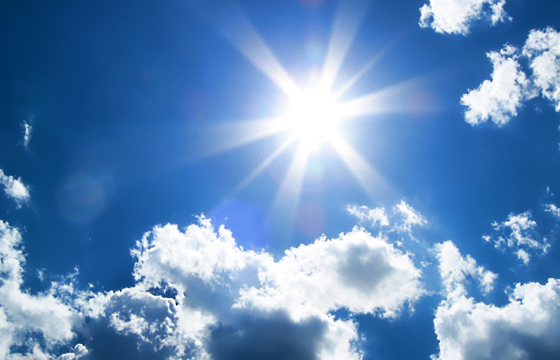 This one-day course will focus on the matrix of subtle energies in the body and mind and the methods of the Tibetan Yoga for cultivating wisdom, energy and clarity of being and the vast perspective of Dzogchen for awakening the radiant presence within. It includes an introduction to foundational breathing practices, the three vajras visualization, silent sitting meditation and introduction to the view of Dzogchen. In the wilderness, in the city, in the cave, in the cremation grounds, in their homes… the dynamic life-stories of the MahaSiddhas, convey the essence of the path as its simplicity and directness is expressed in all walks of life. This teaching introduces the history of Tibetan Buddhism, explores the essential principles at the root and heart of Vajrayana and journeys through the lifetimes of the great Yogins who shaped that history. 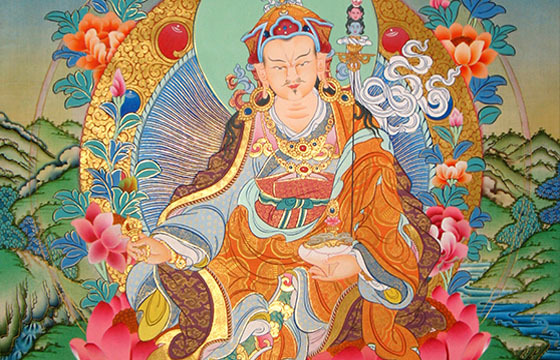 Padmasambhava is the legendary Yogi credited with bringing Buddhism to Tibet. For Tantric Buddhists he is the ultimate symbol of transforming obstacles & vivid wisdom. The legends of his charisma, his capacity to transform obstacles and deal with adversity, his vision and his teachings reach through time into our lives. This teaching explores his life, his teachings and his mantra, a practice cherished by Nyingmas for over a thousand years for removing obstacles to presence of awareness. The Hidden Meaning of the Seven Line Song – The Seven Line Song is one of the best known most sacred and important prayers in the Buddhist world. In addition to containing a prayer to the Tantric Buddha, it also contains the innermost teachings of esoteric Buddhism. In what has come to be known as Seven Thunderbolt Phrases, it unfolds the depths of the path to non-dual experience and explains how to cultivate intrinsic wisdom. In the layers and layers of meaning of the Seven Line song are instructions on praying to the Tantric Buddha, Inner Yoga and the nature of mind. In the most concentrated and essential format, the Seven Line Song describes Dzogchen the path to realizing intrinsic awareness. The Seven Line Song is taught and practiced in a stirring Vajra melody that helps that gives way to the clarity and openness of natural meditation. 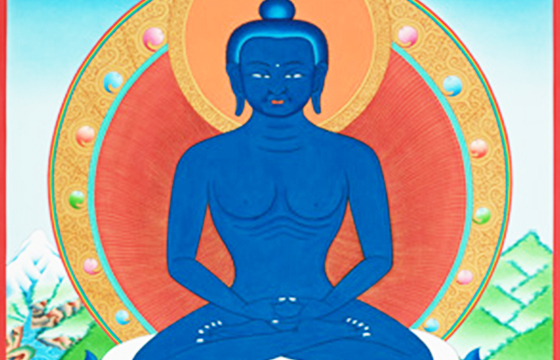 Ogyen Menla, the Medicine Buddha, is the expression of loving compassion and the capacity to heal. He is the form of the Buddha that relieves suffering, disease and ignorance. In this retreat we explore mental, emotional and physical health from the perspective of the Medicine Buddha teaching as well as how we relate to illness, aging and death through the path. In this course we study the stages of disease and how to live with the wisdom of the elements of nature in order to uphold maximum sanity and balance in our body and in our world. Vajrasattva is the Buddha of purification of karma, realization of intrinsic purity and intrinsic wholeness, the Buddha of forgiveness, healing and peace. It is mantra practice and transformative visionary practice used to clear negative karma, clear the psychic and emotional residue from tensions, experiences, traumas or emotions that one has held onto from the past. 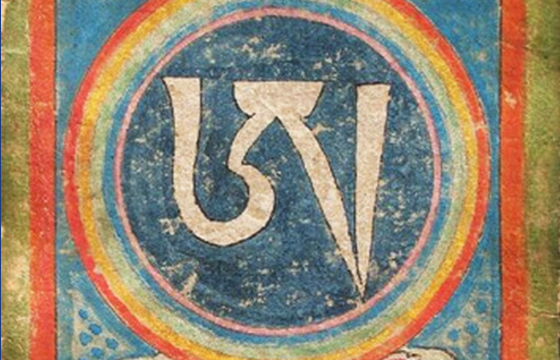 This course includes training in the hundred syllable mantra practice and visualization meditation of Vajrasattva. Drupchen refers to a Buddhist practice of intensive mantra, mudra and meditation practice accomplished continuously by a group for one week. This practice is used for purification of negativities and past karma, while heightening ones presence, openness and clarity. 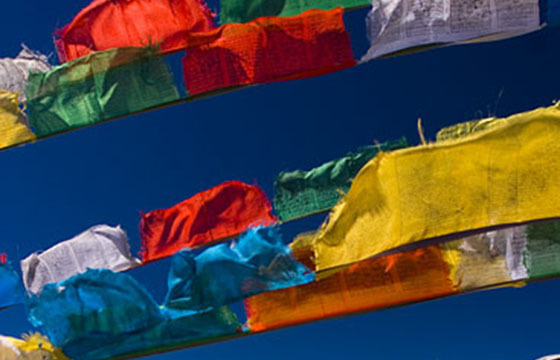 Join Tsewong Rinpoche, Lama Pema, and Pema Khandro for this intensive accumulation of mantras for peace, healing and freedom for everything and everyone, everywhere. This will be held in the format of a world-wide Drupchen, which offers a unique format, in order to provide an opportunity to participate wherever you are, for as many hours as you can. Join in on the web cast empowerment and teaching alone or also participate in taking on shifts of mantra recitation throughout the week. 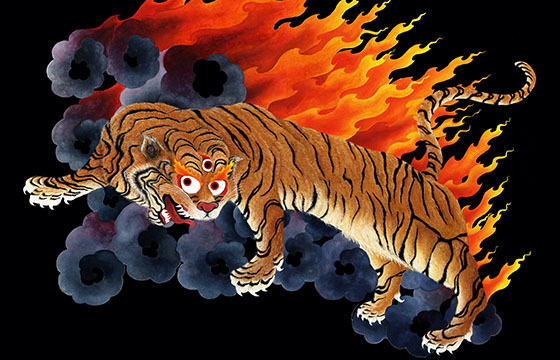 In Tantric Buddhismthe Lion’s Roar symbolizes the fearless proclamation of wisdom. It communicates the power of speech to uplift, inspire and liberate, or alternatively to condition or harm ourselves and others. 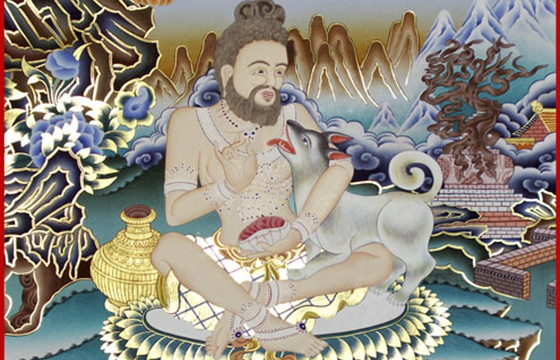 The retreat focuses on Senge Dradog, the form of the Padmasambhava, the Tantric Buddha, who transforms negativity, degraded mind, malignant motivations and prevents slander. 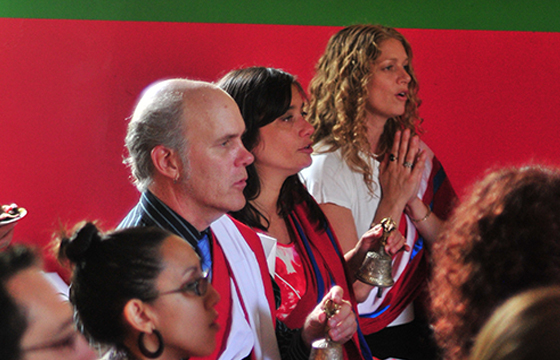 This course involves an immersion in the mantra and meditation practice of Dorje Phurba. This is a yearly practice of the Nyingma tradition which is accomplished before the lunar new year, losar. Dorje Phurba is also called Vajrakilaya, the wrathful remover of obstacles and embodiment of indestructible kindness. The retreat will include teachings on the nature and meaning of Vajrakilaya, instructions on practices for transforming anger plus intensive practice sessions of mantra, envisionment, and meditation. 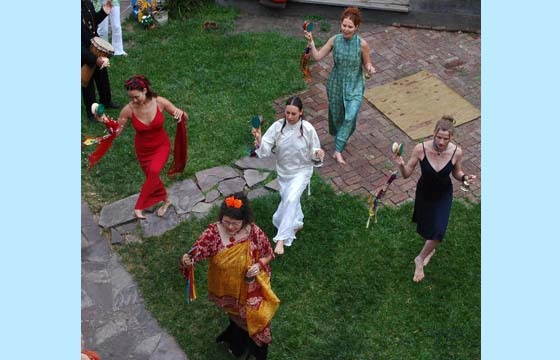 The retreat will also include the practice of the Dorje Phurba Gar’cham, the Vajra Dance of Dorje Phurba. Vajra Dances are full body meditation practices through which the lived experience of the Dorje Phurba is said to be discovered. Chod Training Part 1 – Chod is a practice of Buddhist tantra that has been described as shamanic in nature. A far cry from simple silent sitting meditation, Chod is a practice of visualization, mantric song, prayer, tantric instruments and symbolic ritual. It is a journey into meeting one’s own demons, destructive patterns and neurosis to face and discover what lies at their root. Approaching closed-mindedness, anger, clinging, control issues, and jealousy through symbols, Chod is a Buddhist method for healing and transformation of one’s own mind. It is an exercise in giving up grasping and dissolving fixed identities and externalized projections, through loving kindness and recognition of one’s own mind. It is a practice of tremendous importance for these times when people are suffering greatly psychologically, and need a powerful method to retrieve their own sanity, awareness and wholeness. This course is part of a series based on the Tibetan Buddhist Meditation practice known as the Jeweled Garland of Chod. The classes will focus on explanation of the essential points of the practice including prayers to YumChenmo, the great mother of the Buddhas, the practice of facing death, the practices of Dorje Phagmo, the red Dakini, Troma Ngagmo, the black Dakini and the two feasts. Chod Training Part 2 – This web-class focuses on Buddhism’s esoteric practice for transforming the most difficult experiences into opportunities for awakening. While many people earnestly try to change neurotic mind patterns and heal from traumas, liberating these energies requires something greater than sheer will power or conceptual analysis. To find enduring freedom requires the discovery of what lies at the root and a journey into the darkness. When this journey is guided by the dynamic meditation practice known as Cutting Through – vision, mantra, prayer and ritual become a gateway to discovering a vast open-heartedness in the face of one’s greatest demons. In that moment an opening is made for intrinsic wholeness, vivid awareness and resilient sanity to emerge, liberating everything in its wake. This course is based on the Tibetan Buddhist Meditation practice known as the Jeweled Garland of Chod. The classes will focus on the explanation of the essential points of the practice including prayers to YumChenmo, the great mother of the Buddhas, the practice of facing death, the practices of Dorje Phagmo, the red Dakini, Troma Ngagmo, the black Dakini and the two feasts. 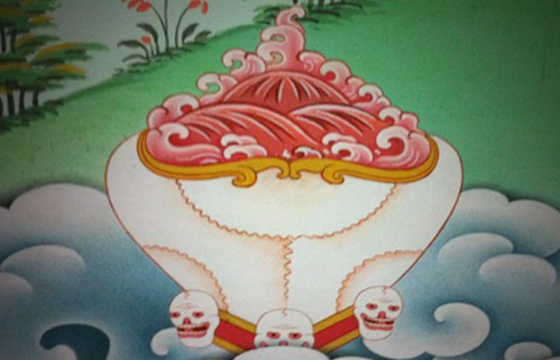 Chod Training Part 3 – The charnel grounds have been a central symbol of transformation, change, loss, impermanence, and opening in Tantric Buddhism & Dzogchen. Historically it was a terrifying place where corpses were taken, but symbolically, it refers to our journeys into the unknown, into life beyond our control, and into the groundless places where growth and courage are possible. 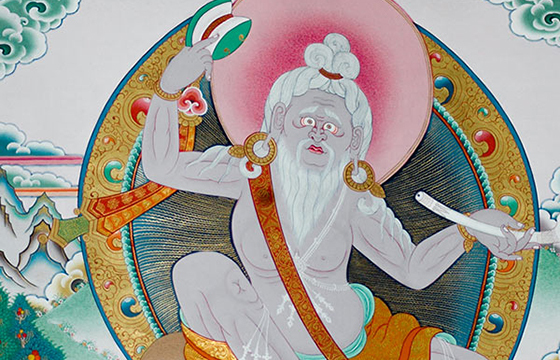 This teaching focuses on what it means to live in the charnel grounds and instructions in the Dakini practice of Troma Ngakmo, the unstoppable clarity of transformation. Ultimately all of Buddhism is about love and compassion, by understanding how love and compassion can be born from the darkest of times is a specialty of Buddhist Tantra. It takes a deliberate focus on how traumatic events, evil, enemies, and direct encounters with serious troubles can shape our views, scar us emotionally and condition our minds. This teaching focuses on Nyingma Tantra paradigms for accomplishing transformation in some of the most raw and tender areas of our lives, where we face our greatest demons and could possibly discover the deepest healing and most profound understanding. This course focuses on Buddhist methods for working with disturbing emotions and difficult people. By cutting through the complexity of dualistic thought processes, our experience and our situations can transform. Based on Padmasambhava’s advice to Yeshe Tsogyal. Padampa Sangye and Machig Labdron were the extraordinary yogis who originated the Chod lineages. Their life stories are a teaching of going beyond spiritual pictures and preconceptions, transforming obstacles, and realizing the nature of mind. 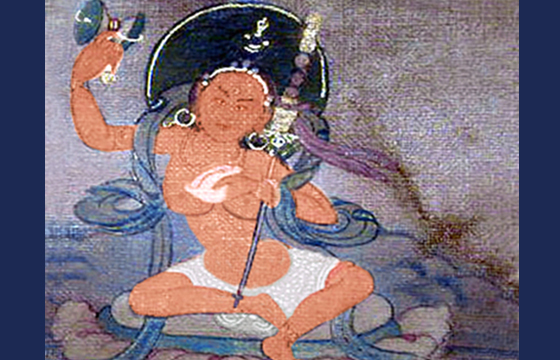 The Dakini is the central symbol of initiation and understanding in the Vajrayana path. The Dakinis are the messengers of enlightenment, a refuge, a focus of meditation, the energies of life, an aspect of being and the pure potentiality of limitless space. 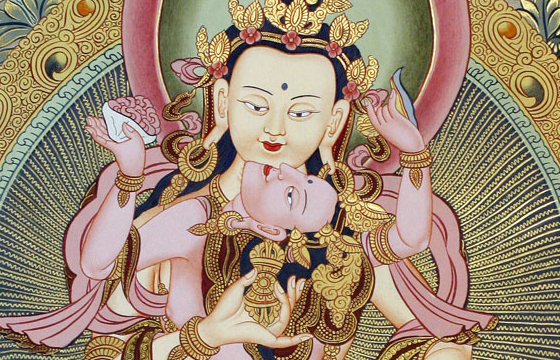 This class focuses on the Dakini teachings and accompanying mantra and inner yoga practice. Normal life and all its intensity can be exhausting. Before we become Buddhists we deal with this in a variety of ways. It may be smoking, shopping, eating, gossiping, “checking out,” over-working, grasping onto people or fantasies. But the problem still remains despite these tactics and cyclic dissatisfaction continues. This is a class on the alternative offered by Buddhism, a method for finding rest, relief and renewal without negative side effects, without reinforcing self-destructive behaviors, without fortifying our confusion. It is a step-by-step teaching on transitioning from neurotic habits to resting into the nature of mind. The course is based on Longchenpa’s Finding Ease In the Nature of Mind. Emotions are the most powerful energies of our lives. Without governing one’s emotions, it is impossible to have a good quality of life, sanity, or contentment. This is a course on establishing resilient sanity through transforming depression, anger, clinging, insecurity, fear, addiction, envy, and jealousy through the practice of Inner Yogas in Buddhism. Five Elements Retreat Part 3 – Buddhism offers a path to intrinsic confidence without fixed identity. It offers the sense of stability, grounded-ness and authenticity that people search for when looking for a “self,” will diminishing the self-obsessed patterns of arrogance and insecurity. Pointing to a sense of innate richness, this teaching explores the keys to going beyond controlling and territorial strategies into authentic power and confidence through the study of the five elements, Ratna family and Ratna Dakini. *This class is part of a five course series on mind, emotions, and modes of being, each class explores one aspect of the five elements, the five wisdoms and the six realms based on the Blessings and Wisdoms of the Five Dakinis and the Purification of the Six Realms from the Jeweled Garland of Chod. Five Elements Retreat Part 2 – In some Buddhist philosophies, desire is renounced completely but in the ancient wisdom tradition of Buddhist Tantra, desire can be used as a tremendous aid to the path. Desire has the potential to be experienced as appreciation of our connection with the world. It has the potential to be experienced as a reflection of limitless compassion and the preciousness of everything that is. But Desire can also lead to an endless series of disappointments whenever we are expecting something from those desires that they cannot provide. It can lead to grasping and clinging, the mind that suffers endlessly. This teaching explores the Buddhist views of desire and the method of working with desire through the study of the five elements and what is known as the Padma family, Padma Dakini, embodiments of enlightened passion. *This class is part of a five course series on mind, emotions and modes of being, each class explores one aspect of the five elements, the five wisdoms and the six realms based on the Blessings and Wisdoms of the Five Dakinis and the Purification of the Six Realms from the Jeweled Garland of Chod. Five Elements Retreat Part 1 – Tibetan Buddhist teachings say that in one moment of anger we can burn up lifetimes of merit. Aversion, anger and aggression can be some of the most painful and difficult emotions of life. Yet they also hold great potential. The Buddhist Tantras regard anger as a potential doorway to immaculate clarity and fierce kindness. 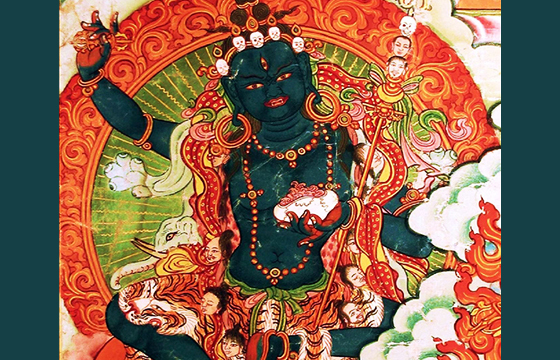 This teaching explores the transformation of sharp, wrathful destructive energies through the study of the five elements, the Vajra family and Vajra Dakini symbols of immaculate clarity and total presence. This is a teaching on harnessing and transforming the most powerful emotions in life. *This class is part of a five course series on mind, emotions and modes of being, each class explores one aspect of the five elements, the five wisdoms and the six realms based on the Blessings and Wisdoms of the Five Dakinis and the Purification of the Six Realms from the Jeweled Garland of Chod. Five Elements Retreat Part 5 – Living the Buddhist teachings in everyday life requires an integration of action and awareness. To work, exert, plan and strive is not the antithesis of Buddhist wisdom, it can be the spontaneous expression of it. Explore the nature of action and intrinsic creativity through the study of the five elements, the Karma family and Karma Dakini, symbols of action that has already successfully accomplished everything in its inception. *This class is part of a five course series on mind, emotions and modes of being, each class explores one aspect of the five elements, the five wisdoms and the six realms based on the Blessings and Wisdoms of the Five Dakinis and the Purification of the Six Realms from the Jeweled Garland of Chod. Five Elements Retreat Part 2 – Everyone longs for peace in tumultuous situations and longs for the spaciousness that makes integration with changing circumstances possible. Noone wishes for depression, closed mindedness or disassociation. Yet, in Vajrayana all these states are recognized as linked. Whether at peace or shut-down, it is a the manifestation of the spectrum of wisdom and confusion that every person must learn to navigate within. This retreat explores meditation and mantra as a path to vivid presence and straightforward experience. *This class is part of a five course series on mind, emotions and modes of being, each class explores one aspect of the five elements, the five wisdoms and the six realms based on the Blessings and Wisdoms of the Five Dakinis and the Purification of the Six Realms from the Jeweled Garland of Chod. Expose the causes of suffering & confusion, which lie within your reality habits, thoughts and mind states. This profound teaching reveals with precision the blocks, self-deceptions and conditioned patterns that bind us. The six realms describe the six reality habits or un-enlightened mind states that compose cyclic existence, the relentless cycles of unconsciousness, confusion and suffering known as samsara. Such a study is a key to Vajrayana Buddhism since karmic patterns only manifest because they are not recognized as what they are. The six realms teachings reveal these patterns, how and why they arise, exploring in depth what is karma, how it manifests and how to be free of it. Study of the six realms will change the way you look at your mind, your life and your spiritual path. It will illuminate the most accessible path to the brilliant sanity found right where you are, working with your own mind. An extraordinary transmission on the nature of mind, emotion, reality and relationship with all things, the Six Realms Intensive is one that all serious practitioners of dharma will not want to miss. Based on the Purification of the Six Realms from the Jeweled Garland of Chod. Five Elements Retreat Part 6 This retreat explores the mind and emotions through Tibetan Buddhist art, meditation, mantra, ritual and philosophy. Students will also receive the empowerment of Orgyen Rigna, the practice of the Tantric Buddha as the Buddhas of the five elements along side training in practice of Namkha. Namkha, also known as sky-weaving, is a Tibetan craft and ritual practice for releasing one’s obstacles and harmonizing relationships. 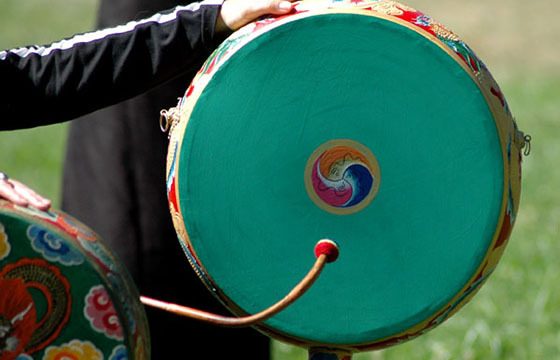 Daily classes in Tibetan Yoga and Meditation with given, the dance of the five dakinis will be performed, mantras will be taught and there will be ample opportunities for celebrating, relaxing and connecting with the community. This course explores the hidden assumptions behind the way we perceive ourselves, others, and all of reality. The Heart Sutra contains the essence of Dzogchen and addresses the biggest questions of life from the Buddhist perspective including the 4 Extremes, god, godlessness, self, and identity. The night before he died, legendary Buddhist master Garab Dorje gave one final discourse. In that final statement, he summarized his whole life’s teaching in three words. Said to be the essence of thousands of the most vast, profound Dzogchen teachings, these three words came to be known as “the three words that strike the vital point.” They reveal the heart of Buddhism and the crucial core principles of the path of discovering natural sanity. The Kunzang Monlam Retreat – This class explores the mind and emotions from the perspective of the Buddhist Tantras. It explores how our awareness can become distorted by delusions, how to recognize confusion before it takes over and how to return to intrinsic awareness. 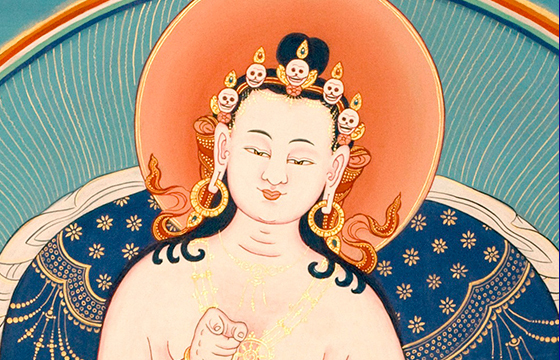 Based on the Aspiration of Samantabhadra, it includes the fundamental principles of Buddhist psychology including non-duality, the five poisons, the six realms and an extraordinary practice for finding clarity, discernment and intrinsic freedom.The Aspiration of Kuntuzangpo is a Yidam practice that dispels delusions and explains Buddhist psychology. It is a practice used to raise windhorse and is also practiced when someone is dying, at eclipses, earthquakes and new year’s to guide all who hear it to liberating awareness. 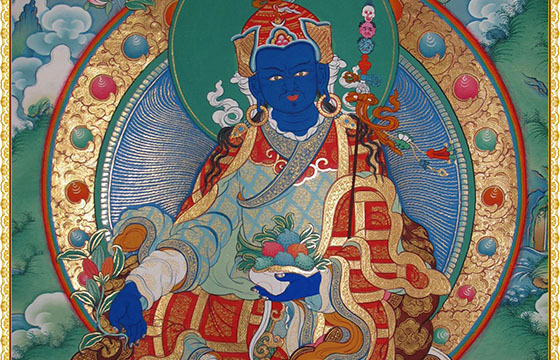 See Pema Khandro Rinpoche’s Article on the Kunzang Monlam, also known as the Aspiration of Samantabhadra. With the great history of Tibetan Buddhism and it’s inspiring history, the Buddhist teachings would not have continued until this time. The knowledge of this history provides a context of inspiration and meaning to Buddhist practitioners who walk the same journey as the masters of the past, in the vast uncharted territory of one’s own being. Explore the extraordinary history of Buddhist Tantra and Dzogchen through the legends, icons and adventure stories of the great masters of the Nyingma Lineage. 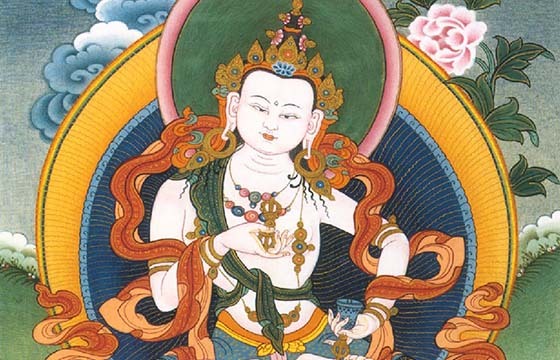 The course focuses on the life stories of the great teachers of the Great Perfection and their historical context, including Garab Dorje, Longchenpa, Jigme Lingpa and Dudom Lingpa. 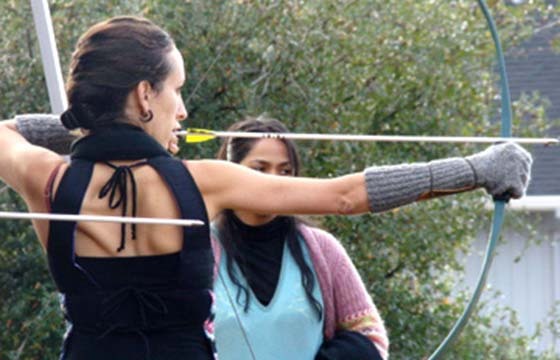 We often think of warriorship as reserved for soldiering, epic battles, physical confrontations and martial artists who train in mastering actual weapons and power. We often think of heroism as something that occurs in moments of grave overt crisis, as if the edge of life and death are met only in moments of high drama, quite set apart from daily life. But in Buddhism, warriorship also points to something more pervasive, a way of being that could be found in our very own little moments of time whenever we allow ourselves to enter the challenge of everyday experience without retreating, without shutting down, without holding back. 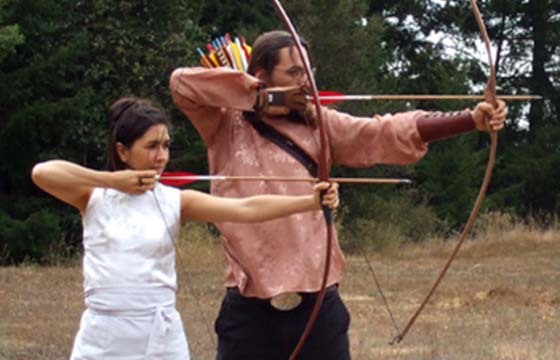 This class explores the Buddhist vision of warriorship. 2) Meet your own and other’s aggression with sanity 3) Meet the Buddhist wisdom right where you are in your life. Based on the Vajrayana Buddhist teaching of outer, inner and secret refuge. Learn the practical steps in the transition to actualizing Buddha-mind right when you need it the most. Windhorse is life-force, power, success, health and good-fortune. 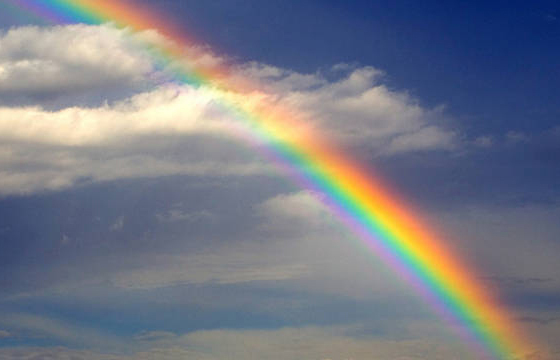 When we have high Windhorse, things come easily, obstacles dissolve effortlessly and our life overflows with goodness. When our Windhorse is low, we make a lot of effort with little results, obstacles multiply and our life feels stressful, overwhelming or stuck. Windhorse is not just something one has or doesn’t have, it is an energy that can be cultivated through yogic practices. 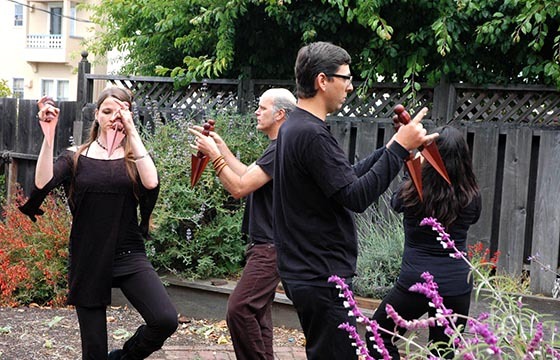 This training focuses on the art, science and magic of Windhorse according to Tantric Buddhism and the Lungta song. These teachings touch on intersection of nitty-gritty life circumstances and our deepest spiritual longings. Through the Windhorse teachings we can gain insight on how to approach our responsibilities, work, family life, pressures and stressors with new clarity and energy. It helps to take the mystery out of our states of exhaustion and depletion as we come to understand how Windhorse is generated and depleted. 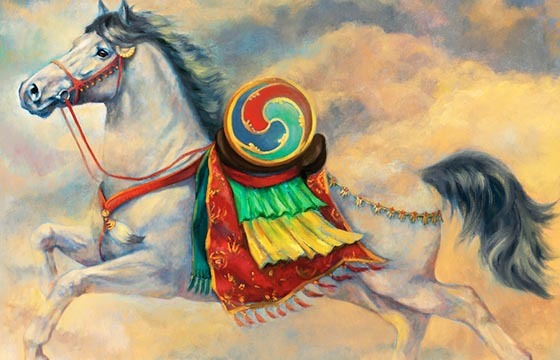 The Windhorse teachings reveal the nature of inspiration, energy, success and good fortune and how things don’t always have to be so complicated and difficult as they sometimes get. 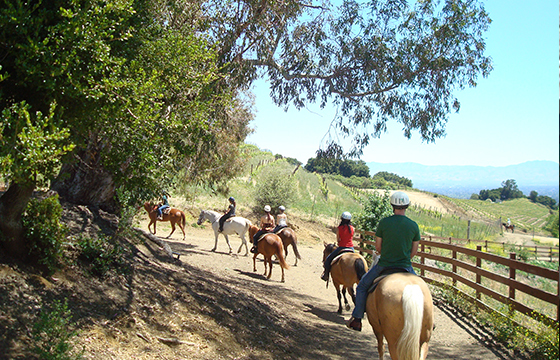 This course combines horseback riding and meditation practice, focused on cultivating the experience of our world an our environment through vivid awareness, through pure perception of the elemental world. It focuses on relaxing where we are, as we are, accepting limitations, letting go of aggression and conceptuality in order to take one’s seat in the luxury of simple, direct experience. 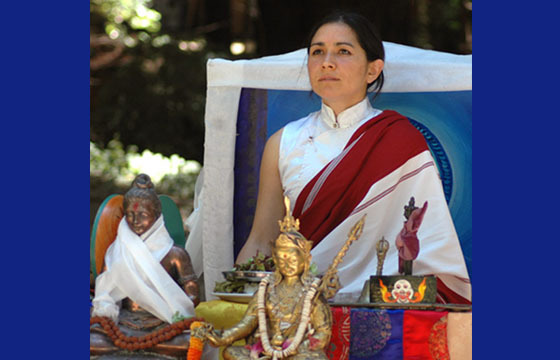 Learn and practice Drala meditation followed by lunch and discussion with Pema Khandro Rinpoche. The practice of the community gathering to gather to make offerings, feast and celebrate is one that goes back to the earliest period of Buddhist Tantra in India. During Tsok, there is an opportunity to purify karma, repair vows, repair relationships within the sangha and accumulate merit and wisdom. This course offers teachings about how to perform the Tsok offering prayers and explores the layers of meanings behind this joyful method of Buddhist practice. Ritual practice can be a potent way to shift our minds and find a sense of new beginning. 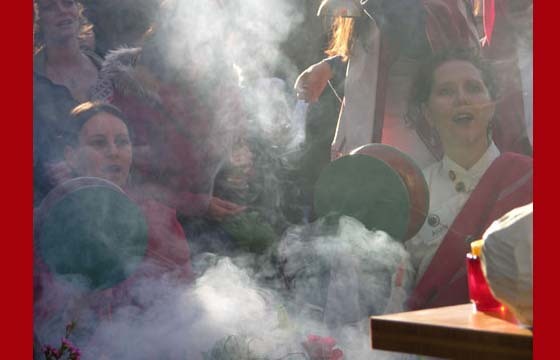 The smoke offering (sang) is a ritual practice of making vast offerings to pacify obstacles and raise awareness. It is a practice of connecting with the forces of life and establishing an open relationship with existence. 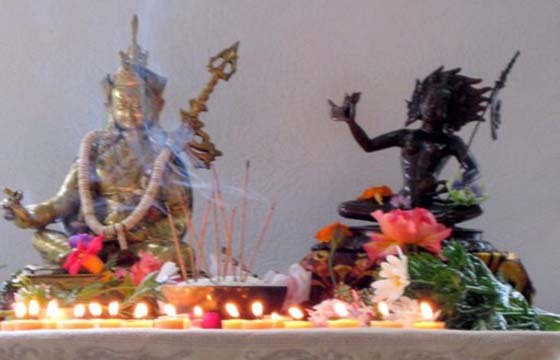 It is traditionally used to create harmony, resolve karmic debts, generate vitality, success, prosperity, and health in our life, in our land and in our local community. This retreat includes empowerment and training in the Smoke Offering practice, a simple series of mantras, songs, sacred music and offering of sacred substances as well as teaching on the nature of the practice according to the Inner Tantras of Buddhism. Romantic relationships provide unmatched opportunities for both neurotic misery and ecstatic enlightenment. This class focuses on how interpersonal relationships can present possibilities for realizing our innate wisdom and alternatively, how relationships degenerate into clinging, cruelty and indifference. It illuminates the ways in which relationship can become a spiritual practice through which we discover our innermost nature and return to the enlightened nature of romance. 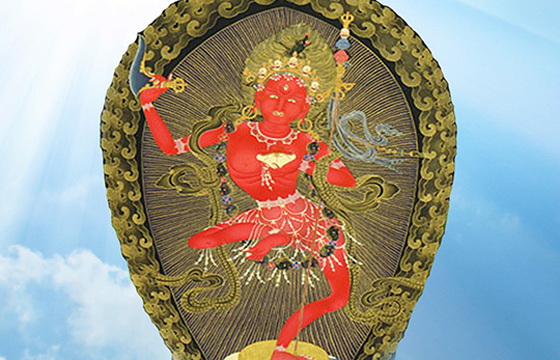 This course is based on the Vajrayana Buddhist teaching, the Nyida-Mélong of the aro-gter. The path beyond self-deception demands a clarity of being when it comes to decision making, vow-keeping, integrity and freedom. 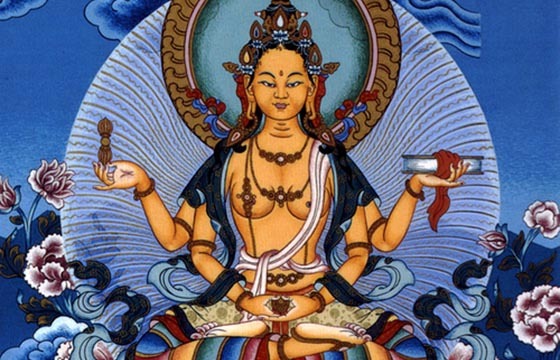 The Owl-Headed Dakini teaching explores fundamental teachings of Buddhist Sutra, including the the quest for satisfaction and the conduct of a yogi from the perspective of Dzogchen. It is a revelation of pivotal Buddhist principles like the four noble truths, the eightfold path and the five precepts from the extraordinary vision of non-duality. It is a guide to discovering intrinsic delight through the daily decisions and actions that define our lives. Finding self, losing self, protecting self, defending self, being true to one’s self… Fixed Self-concept is a chronic disorder that requires tremendous maintenance and management. This retreat focuses on the nature of who and what we truly are – how to tune into our beginningless enlightened nature. Through our relationship to Buddha-Nature, our fixed identities fall away and we encounter a sense of creative fluidity and immense freedom to be. 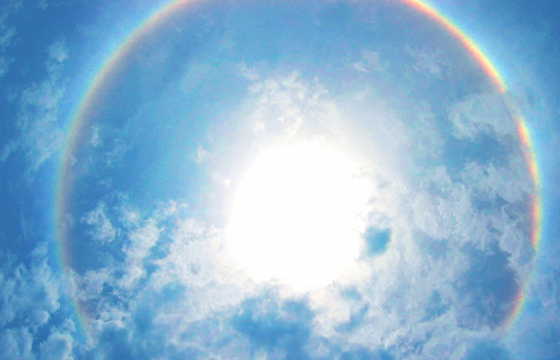 Join us for this transmission on the central method of the Inner Tantras. Vajra Sangha is for those who are training in depth in as long-term as personal students of Pema Khandro. It offers in-depth involvement with the practices and teachings. It supports a close personal connection with a teacher that is treasured in Vajrayana Buddhism and especially in the Nyingma tradition. 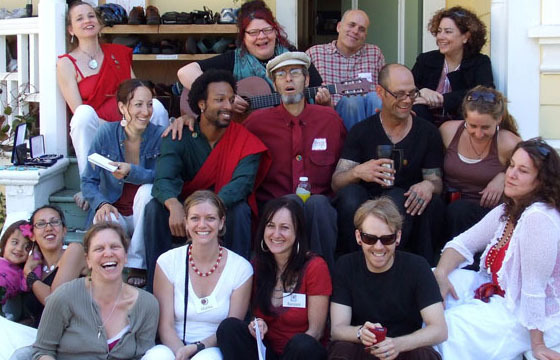 Students who wish to enter the Vajra Sangha program begin by becoming members of the school at the Mandala Holder level and are eligible to apply for Vajra Sangha six months later through an application and interview. Western culture and psychology often point to others as the cause of our suffering, parents, past traumas, scars from past events. Buddhism has a different view on the origin of suffering and the cause of personal freedom. Join Instructors to study Closing the Door to the Lower Realms, a teaching on the Buddhist perspectives on empowerment, freedom and sanity. Connect to your body, mind and breath. Breakthrough blocks. Energize and become centered. Go beyond judging and thinking mind through the Tibetan Yoga used for centuries by Dzogchen practitioners to evoke an immediate sense of natural meditation.